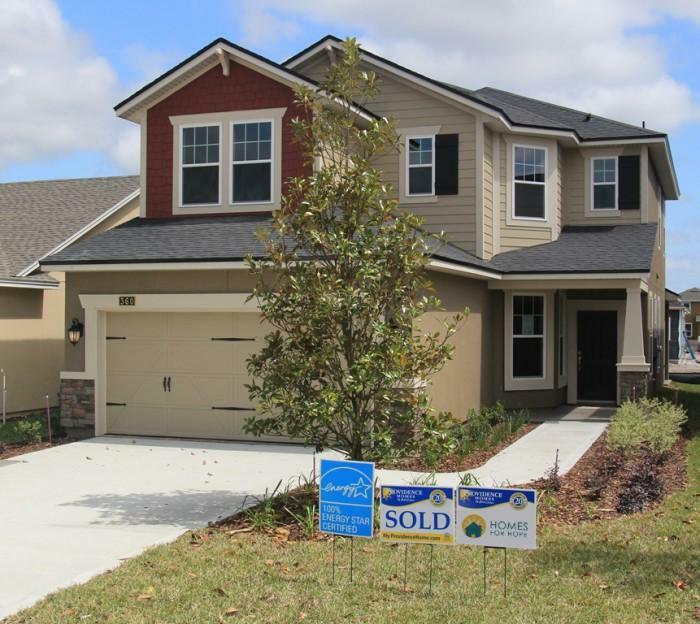 Providence Homes is proud to announce that we have completed our fifth “Home for HOPE” located in the Greenleaf Village at Nocatee neighborhood in St Johns County. The sale of this home contributed over $60,000 for HOPE International. We would like to thank everyone who participated in building and donating time to building our fifth “Home for HOPE” project. Together with our first four Homes for HOPE, the Providence Homes team, with the strong support and generous donations of labor and materials from our vendors and trade partners, has impacted countless numbers of people, through HOPE International. HOPE International is a faith-based group that serves the poor in developing countries by providing them with micro loans. More than 99% of all HOPE loans are repaid. Most of the loan recipients are women with children who have been abandoned or widowed by war or devastation. “We’ve been involved with HOPE International for many years now. It’s a powerful, faith-based group that is making huge strides in alleviating poverty by helping people build businesses to support themselves,” said Bill Cellar, CEO of Providence Homes. “With just a few hundred dollars, people can create a business for a sustainable living and get out of poverty for good, providing better education, healthcare and nutrition for their children. It truly is a hand-up, not a hand-out.” Since getting involved in 2002, Providence Homes has raised over $350,000 for HOPE International with our five Home for HOPE projects. Providence Homes is actively involved in a variety of initiatives focusing on health, youth development, nation building and leadership projects centered around faith. Some local initiatives include I.M. Sulzbacher Center for the Homeless, The Salvation Army, Builders Care, Habijax, and Canine Companions for Independence, the United Way of North Florida, the Monique Burr Foundation for Children, International Community Foundation and the Lemuel Organization. HOPE International empowers those living in need around the world to escape poverty by providing microloans, savings services, training, and mentoring. Working in 16 of the poorest, least-served countries in Africa, Asia, Eastern Europe, and the Caribbean, HOPE is a Christian faith-based 501(c) (3) non-profit organization. For more information about Providence Homes or the Home for HOPE projects, visit www.myprovidencehome.com or call (904) 337-5236.